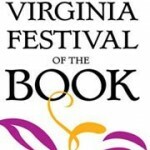 The Virginia Festival of the Book is just two months away. For booklovers in these parts, the festival can’t be beat and I always look forward to it. I’ll be a busy festival-goer this year, as I am on three panels and will be attending as many others as I can. On Thursday the 21st, I’m on a panel at Barnes & Nobel at 2:00pm: The Art and Craft of Short Stories. The Festival always includes one or two short fiction panels. This one features Robert Day, E.J. Levy, Kurt Rheinheimer, and me. And then on Friday the 22nd at 10:00am I get to moderate a panel at the UVa Bookstore: Fiction: Forbidden Attractions. The panel features Margaret Wrinkle, Maryanne O’Hara, Bill Roorbach, and Erika Robuck. I enjoy moderating these panels and try to get the books read ahead of time so I can ask the authors embarrassing probing questions. Three chances to see me! And of course there are lots of other writers you’ll want to hear, too, like Jill McCorkle, Chris Tilghman, Susan Shreve, Sheri Reynolds, C.J. Box, Rita Mae Brown, Ed Falco, Andy Straka, Sarah Kennedy, Laura Brodie, Alma Katsu, and so many more! I hope to see you there.